Hey girls! I am back with bang! 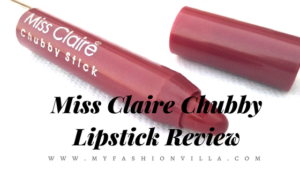 Today I am going to show you what I gifted to my hubby on this Valentine’s Day. It was our anniversary too, so I wanted to gift him something exclusive and what he was looking for long time but was not getting. After thinking a lot, I thought of giving him a pair of formals, means a perfect fitted shirt and trouser. You must be thinking, this is something what he was not getting since long? Well, YES. Till today, we tried dozens of brands offering Men’s Formals. But none of them satisfied him with the fittings. Wondering why? 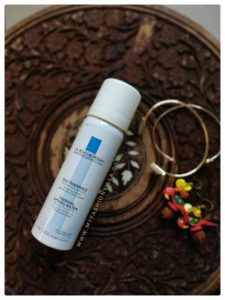 Read complete post. Why Getting Perfectly Fitted Shirt and Trouser is So Challenging? If you have seen my Man, he has got really long legs! Yeah, really long!! Like, when he drives my scooty pep, his legs never fit inside the area given to place our feet. If he drives car, he has to take his car seat back as much as possible then and then only his feet touches the clutch, accelerator and break! So just imagine! But compare to his legs, his torso is short. And his waist is 30 only! If I try to find right size as per his long legs, then I have to go for bigger sizes, like 34, 36 pant sizes. But If I go for 30 size pant, the length never fits him. Readymade pants with 30 sizes are always shorter for him! Same with hands! His Torso and shoulders are narrow, but hands are really long! So NO brand fits him well. And he never likes to wear pants altered to match his size, according to him, they stay ill-fitted only! I know many of you must be facing the same problem. None of us are blessed with perfect length, waist, shoulders, armholes, arm length, torso, chest and other parts in our body. And brands offering readymade formals use standard size only! Means you have to compromise of some fittings all the time!! Which I hate it. I can compromise for fittings in casuals but for Formalwear, NO, NO! It’s Simple! Walk in to Van Heusen Store near to you. Ask Sales Executive to help you with your MyFIT measurements. Note down sizes if you can’t remember, try some samples with your sizes available in your store. Finalize the stuff and Order Online! Tadda! You are done. You will get Perfect Fitted Shirt and Trouser from Van Heusen. It’s like customized tailored shirt and trouser pants for you. 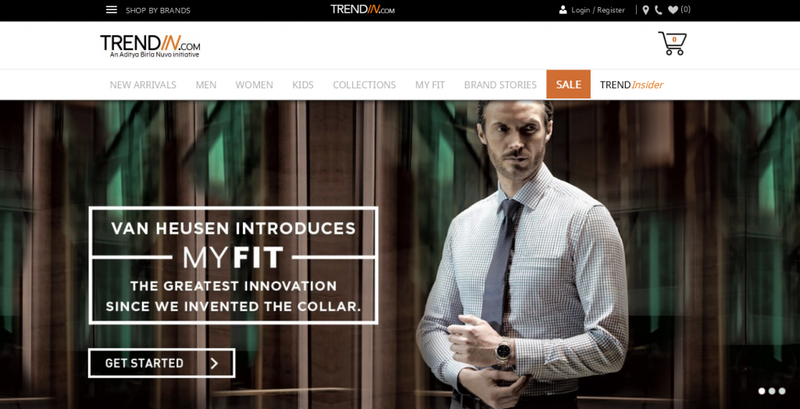 Its not 100% customized solution, but Van Heusen offers amazing options to get perfect fit. 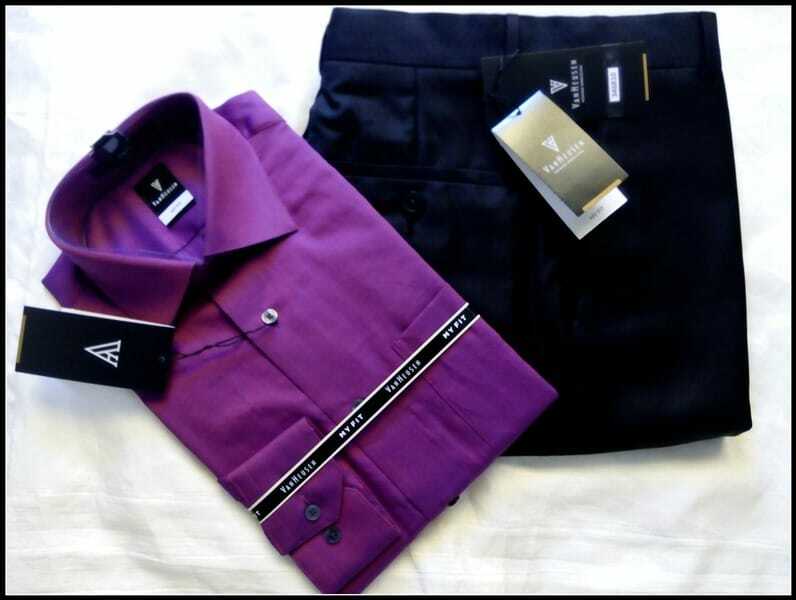 Let me show you how I ordered Perfect Fitted Shirt and Trouser for My Husband! 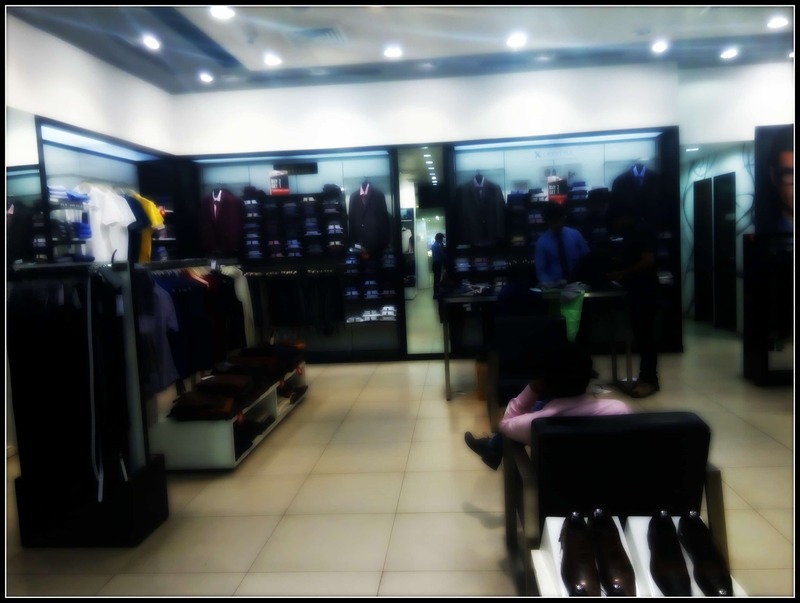 Hubby and I visited Van Heusen Store located in Alpha One Mall, Ahmedabad. This is how the store looks. And you can see “MyFIT: counter right in front of the door. We asked Sales Executive to help us with MyFIT measurements. After going through all options for shirt and pant, we got exact measurements for Shirt and trouser. We also checked fabric samples for pant and shirt there. And finally we decided what to order online. 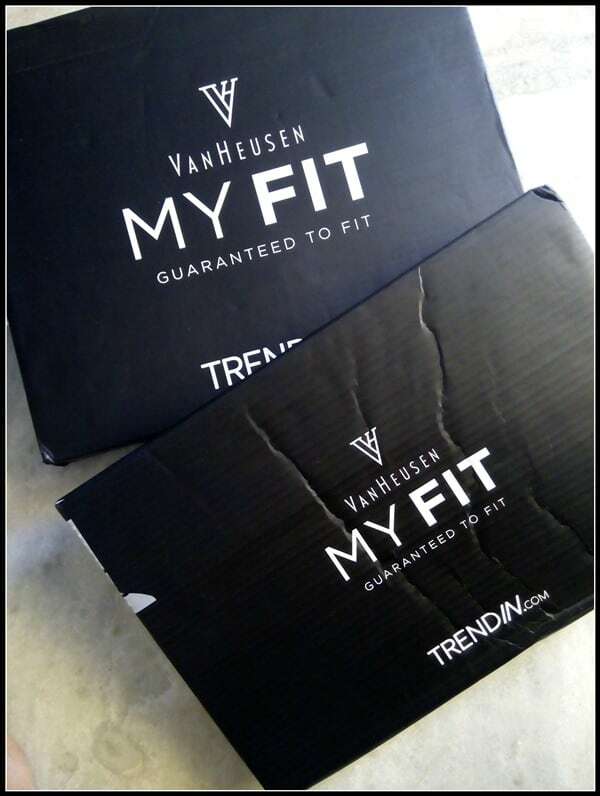 If you want to try all the options that Van Heusen Offers under the MyFIT service, check TrendIn MYFIT page here you can place order online while selecting options as per your requirement. This is How the website Looks. You just need to click on “get started” button to choose option. Once you press button, choose what you want to order, start with Shirt. And you will be provided step by step options to add your measurements and choice. It starts with body type, with the options; Custom, Slim, Tall, Athletic, Plus and Healthy. 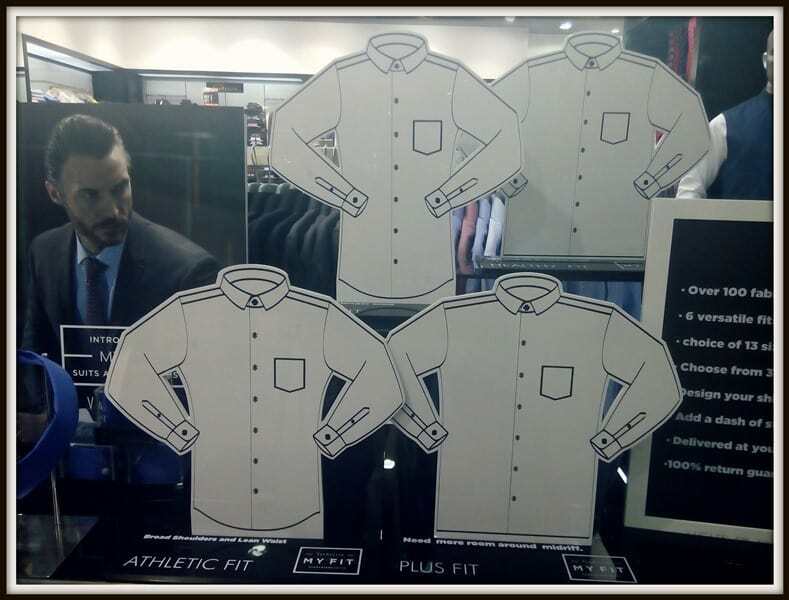 Choose the right option which you finalized in the Van Heusen Store, Next choose Shirt Size. Here you get chance to order shirt with size 37 too. Which is rare. Usually brands offer shirts starting with 38 size only. Next choose fabric. There are more than 60 options given to choose from. 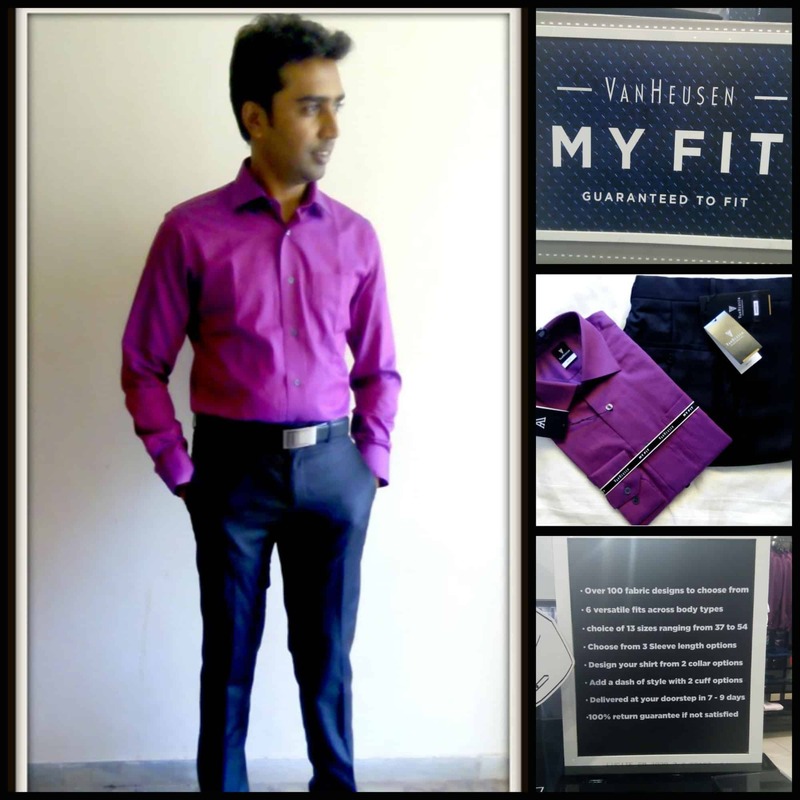 For hubby, We choose Fabric 55 and we really liked the shade and texture of fabric when we saw it in Van Heusen Store. Next choose sleeve. You can choose full sleeve or half sleeve. Next you need to choose sleeve length. Now this is really interesting option, and thank God the option is there. 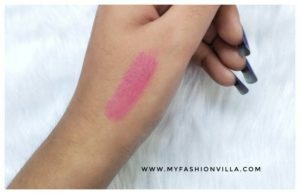 Here you can choose +1 if you want your sleeves to be longer than standard sleeve size. So, for my Man, we ordered +1 as hubby got really long sleeves. Here you can choose standard as well as -1 for boys with shorter hands. Next choose Collar Style. You can either choose Half Cut Away Style or Mandarin. If you want to wear a tie, go for half cut away style collar which is the standard one. However Mandarin Collar looks really stylish. Next choose Cuff Style. 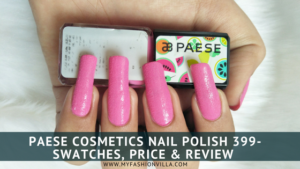 Choose Chisel or Double as per your choice. And Voila!! You are done. Just add the same in your basket. Next choose trouser while selecting related options and place your order online. How simple? And the result? Fantastic pair of Shirt and Trouser for you! And That’s My Love, Wearing His Favorite Pair of Shirt and Trouser from Van Heusen! So this was all about Our Valentine’s Day! and my Gift. 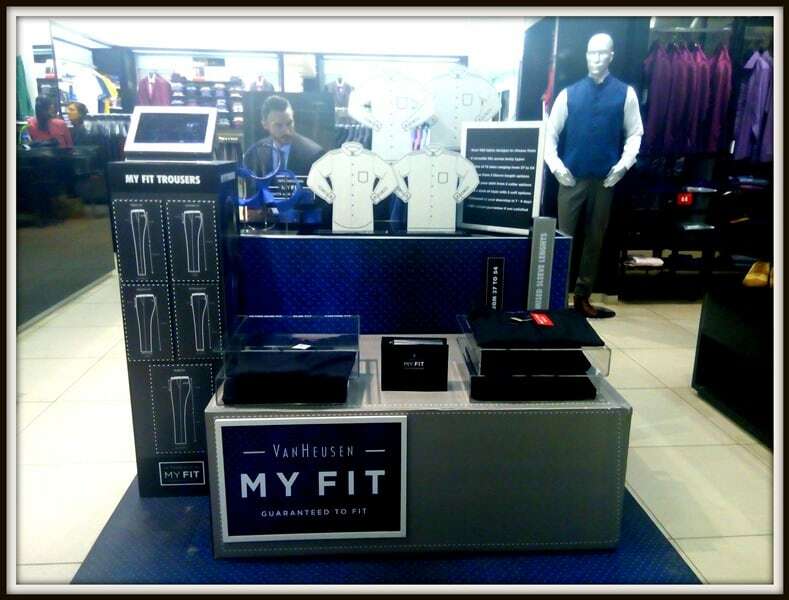 All Thanks to Van Heusen for introducing MYFIT! Its a boon for those who love to wear perfect fit formals. Check it out Van Heusen Website for more details. Stay Happy and Rocking ! !